As you arrive on the boats the Phi Phi Andaman Legacy Resort is on the left about 10 minutes stroll from the pier. 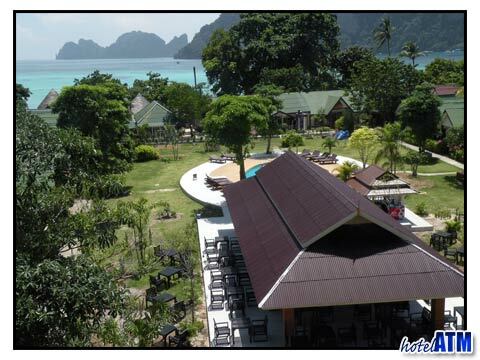 Just up past the point and PP Don Chukit Resort, PP Rimlay Resort the Phi Phi Andaman Legacy Resort is set back from the beach by the reception and the King Kong Gym. As mentioned above the the resort is near the ever popular Hippies bar and the PP Mosque.